When utilities shut off a ratepayer’s electricity, a house goes dark on their grid and is forgotten. At face-value, utility shut off policies exist to punish ratepayers who do not contribute their fair share to the communal grid. But when looking closer at utility shutoffs in practice, they almost always disproportionately impact communities of color, the elderly, and at-risk populations. And it’s often far from fair. My lights were turned off after a protracted fight with my utility. Enduring two years in the dark cost me my small business, launched me into debt, and stripped me of my dignity. Every winter when the temperature drops, I’m reminded of my journey from being painfully free of grid electricity, to getting free solar electricity. It’s a happy tale because ultimately, my solar panels and I got the last laugh. But there are many who remain in the dark. It began in 1994, when I opened a beauty shop in Phoenix, Arizona. My small business ran successfully for four years until my local, privately owned utility, Salt River Project (SRP), sent notice that they required an exorbitantly high security deposit to continue providing electricity. Unforeseen expenses are burdensome for any utility owner so I fought the fee, but eventually ended up paying the additional deposit. I thought my troubles were behind me. But just a few months later I received yet another security deposit demand. I enlisted the support of the Arizona State NAACP to fight the fee, which I knew was not justified—I had documentation of making all my payments on time so there was no reason for additional fees. The utility agreed to let me pay a reduced portion of the deposit. But then, in a series of confusing notices and requirements, SRP demanded I pay the whole deposit. When I couldn’t pony up an additional thousand dollars, they shut off my power. Operating a business with no electricity is impossible, so the doors of my beauty shop closed. Even though the shop’s service was terminated and all payments up to date, the utility company inexplicably demanded further payment. As the fight dragged on, the utility company eventually disconnected the electrical power to my home. Adding insult to injury, they never returned the nearly $900 in security deposits that I paid. I took them to court, but the paralegal classes I took at the local community college were no match for a highly paid team of the state’s best lawyers. Despite having the receipts of payment I lost, and from 2004 to 2006 I suffered without electricity. I lived out of an ice chest in winter months, and sweated through the summer. More than 10 years later, my home is still not connected to the utility-operated grid. I haven’t paid an electricity bill since 2004, and the savings have been tremendous. When it was clear my utility troubles were not going away, I began researching rooftop solar. I found online a solar system designed for off-grid cabins. I ordered my first panels in 2006 and finally got my lights back on. More than 10 years later, my home is still not connected to the utility operated grid. I haven’t paid an electricity bill since 2004, and the savings have been tremendous. Free from an electricity bill to pay every month, my solar panels paid for themselves and I’ve been saving money ever since. My shut-off story is one of the many, but my solar success story remains far too rare. Across the country, at-risk ratepayers are subjected to burdensome and ethically questionable utility shut-off policies. Every winter I read news articles about an elderly person freezing to death in their home after their power gets shut off, or a family suffering from carbon monoxide poisoning when they resort to trying to heat their home with makeshift measures like a gas oven or charcoal grill. The tragic loss of life from utility shutoffs highlights need for a universal right to uninterrupted energy service. We need to create policies that stop utilities from unduly removing people from the grid. NAACP recently released a report with four principles to help ensure that dangerous lights-off policies are corrected. These include guaranteed household access to utilities, customer consultation about policies, transparent business operations, and poverty elimination programs. We need these solutions sooner rather than later, because climate change is going to make these issues worse. Extreme weather events, like dangerously hot and cold days, are projected to increase as a result of climate change—stretching ratepayers pockets and putting them at even greater risk if their power is shut off. As we work to build long and lasting solutions, renewable energy offers an opportunity. 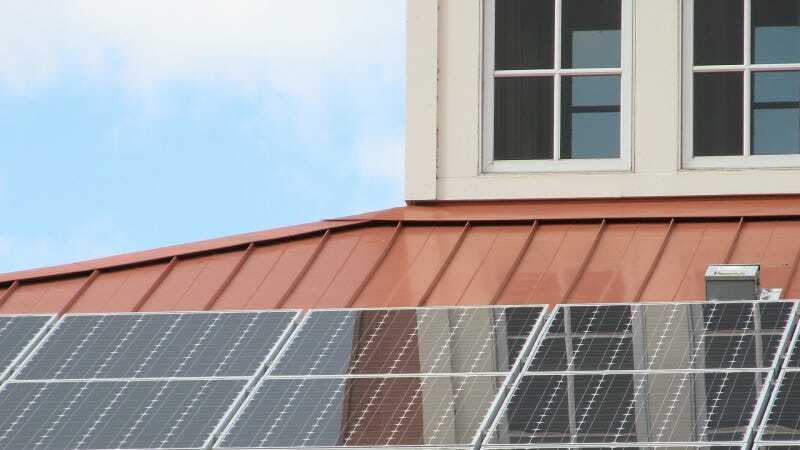 Not only does converting homes to renewable energy help with ratepayer costs, it also lowers greenhouse gas emissions to alleviate the impacts of climate change. Needless to say, I will never go back to the utility connection. Through my own rooftop solar panels, I have been liberated from the high rates the utility companies demand and the control they held over me. When SRP cast me into the darkness, solar panels brought back my lights. Amy Mays resides in Phoenix, Arizona. Amy is a retired certified Journeyman Electrician for the State of Arizona. Amy is the Arizona NAACP ECJ Chair and a member of the Maricopa County NAACP.